These days the virtues of sealed-road safety are extolled on us in various ways and are undeniable truths. The end result of unsafe driving is openly documented in road toll and crash statistics published by various authorities. 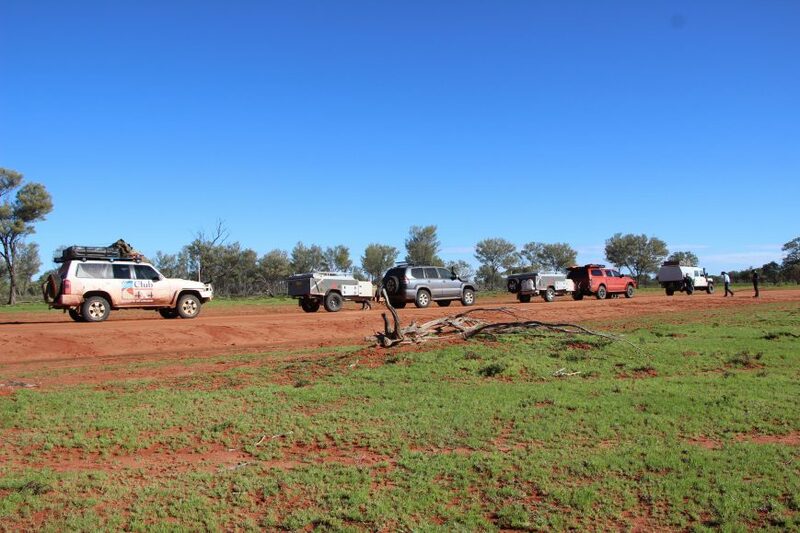 Whilst our recent trip to the Big Red Bash was by no means our first foray into the outback, our partnership with the Stay On Track Outback team as major sponsor for the Big Red Bash Road Safety Campaign, spurred us to think about the differences required in driving attitude between sealed and unsealed roads. Stay On Track Outback is a Queensland government initiative, but a concept every state should take heed of. The messages are relevant to unsealed roads all across the country (and there are MANY of them thankfully!) and the positive interaction with the public at the Big Red Bash was heartening, kudos to the team. The tips outlined by the Stay On Track Outback team are excellent, so we won’t repeat them, but please take the time to have a look through here. So what are some other things that can make travelling unsealed roads and tracks more manageable and comfortable? Visibility – Our trip saw us form part of a convoy of about 40 4X4’s. As “tail-end-Charlie” for the trip, we were exposed not only to the dust of the 4X4 in front of us, but that of the entire convoy. It makes sense to slow down and not uncommon or unreasonable to leave a gap of a hundred meters or more between yourself and the vehicle in front of you depending on the conditions. Let’s face it, the reason why we undertake off-road travel is to take in the scenery and enjoy the trip. Who wants to spend their time trying to make out that sunset through the dust? Or worse yet for the driver, trying to keep an eye out for the vehicle in front through the plumes emanating from 4, 6 or more wheels? It’s unsafe and takes away from the experience, let alone clogging your air filter, which we all know can lead to all sorts of mechanical issues. Etiquette – Everyone has a right to be on the road, but it’s a common duty for all of us to be aware of each other and be safe. A watchful eye in the rear view is just as important as looking out for animals, road trains and other oncoming vehicles through the front windshield. Now we aren’t condoning speeding, as that is the single biggest contributor to accidents, road trauma and casualty. However, “Driving to Conditions” is a subjective term and everyone will interpret it differently. If you see someone in your rear view indicating an intent to overtake, slow down or pull to the side and let them through. This will minimise aggravation and even temptation to speed up and drive outside the bounds of your own comfort. Throttle Inputs – One of the most important considerations of remote travel is fuel supply. Many of us carry extra jerry cans and top up wherever possible, but what can you do to minimise usage? It’s all in the right foot they say! Going back to the reason why we enjoy off-road travel; enjoying the scenery and exploring. The long, open roads give you a great chance to familiarise yourself with your vehicle’s power delivery points and gearing, so why not use them? While our old GU doesn’t have the fancy trip meters of newer units, we calculated that with steady and measured throttle input, even fully laden and with deflated tyres we managed a best of 16l/100; this is compared to an un-laden average of 20l/100km driving around town. Impressive given the gear we had on board. Steering Inputs – So we all know the old chestnut of not having your thumbs around the steering wheel while driving on rocky surfaces, but what about on dirt roads? Well the principles aren’t that different. Hands at 9 and 3 and gentle, measured inputs are the go. Remember, the surface may be graded but can vary quite quickly. We saw mud, gravel, sand and aggregate covered roads on our trip and each surface requires a different level of attention. Lower your tyre pressures slightly, but remember this has an effect on the way your tyres will respond to what you’re doing with the steering wheel! Don’t forget that being rough with the wheel means unhappy passengers and reduced fuel economy too! Mechanical Sympathy – Touring is as much about the journey as it is about the destination, but the two are interdependent! 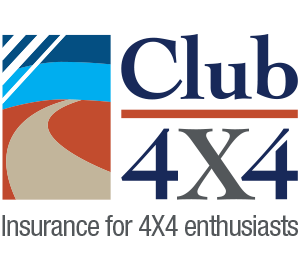 Consider that your 4X4 is your means for getting there, so make sure you do your pre-trip checks on your fluids, keep your filters clean and always carry spares. Finally, consider what you’re putting your truck through. Is there a need to go through that mud bog at Mach speed? Is there a way around obstacles? Do you need to bash the rev limiter? Or can you consider your 4X4 and the track you risk damaging for other users? Everything mentioned above is common sense, but sometimes it’s helpful to really consider how we approach driving on these great dirt highways and tracks. This is article pretty much sums up how I approach unsealed roads. On our trip around Australia we’ve done the Cape Leveque track, Gibb River Rd to name a few. What does irk me is the unbelievable speeds people do with deflated tyres and wondering why they blow them to pieces. On both the above tracks I spent long periods in low gear.